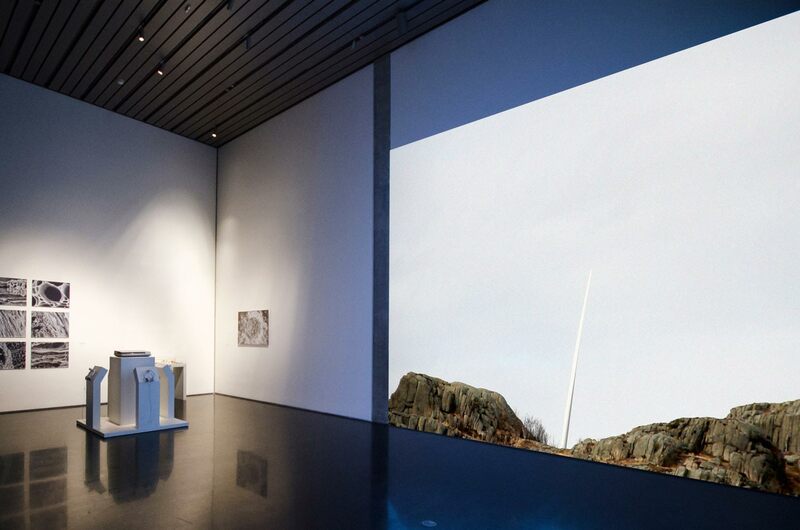 The Diluted Hours is an artistic project by Magali Daniaux and Cédric Pigot that brings together multiple media (performance, poetry, photography, recorded sound, and video) to encode a unique biomaterial trace—in their words, an “archeological anomaly”—as both geological and musical record. The centerpiece of The Diluted Hours is a vinyl record with nearly 30 minutes of original music and spoken poetry, and which is pressed with the ashes of a batch of logs the duo shipped to Kotzebue, Alaska, and then burned. The Diluted Hours begins with a beech tree Daniaux and Pigot bought for 10 euros in the woods near Stuttgart, Germany’s Schloss Solitude. They then cut the tree into logs and packed them into crates. Next, after months of failure, they finally managed to get the logs to clear US customs to arrive in Alaska. 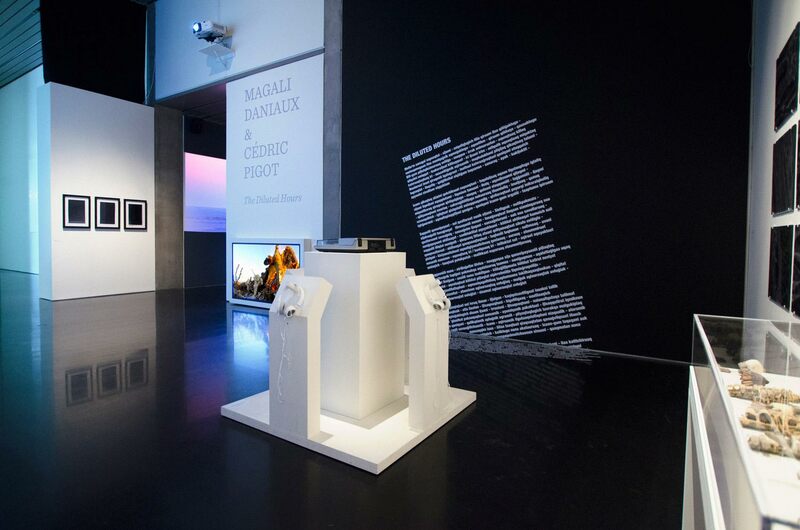 Throughout this process, Daniaux–Pigot worked with Auréade Henry, an archaeologist who specializes in the North Pacific region and works on coal. Listening to the record, the burned-in ash subtly disrupts the duo’s intricate tapestry of electronic sound and spoken word. Supported by Pigot’s lush synthesizer atmospheres, Daniaux’s poetic incantations sway from the cosmological (“decomposed – ceremonies from planets to planets”) to the microscopic (“molecules dabbed with figures and spaces”), while buttressing the geological, personal, mythical, and zoological. Interrupting their delicate texture, the soft scratching of the ash against the record needle produces an intermittent jolt of the indexical amid an otherwise affect-laden terrain. 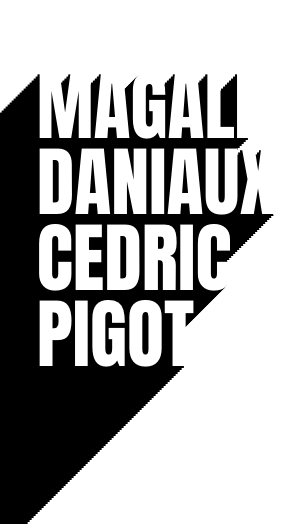 This mildly exaggerated “crackle ‘n’ pop” artifact resonates with the ordinary sound of fire crackling and popping, a figure central to the genesis of Daniaux–Pigot’s project. Yet beyond purely metaphorical congruence—found, as another example, between the rings of the tree and the grooves of the record—Daniaux–Pigot’s LP traces material remains. 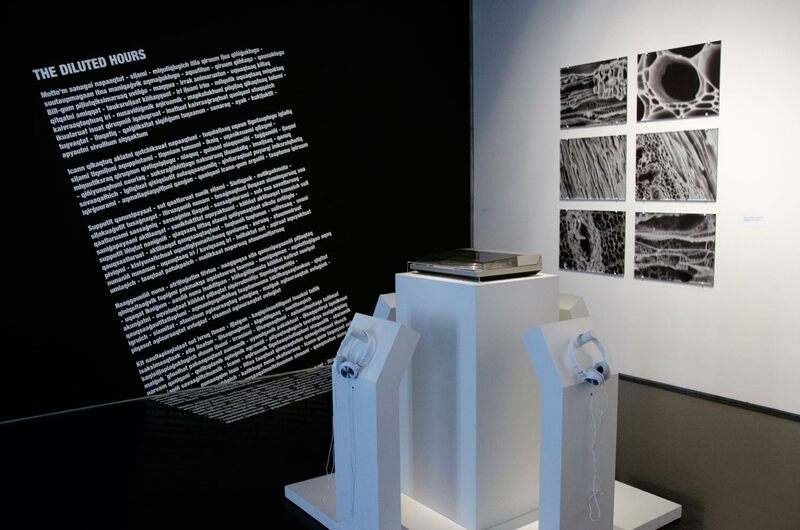 Their vinyl record becomes a geological record. The Diluted Hours insists on this radical trace, a record that unites cause and effect. Historically, recording technology has been understood as introducing the philosophically significant ability to remove sounds from their sources, to dissociate acoustic effects from their proper causes. French composer Pierre Schaeffer, riffing off of Pythagoras, called this acousmatics. By physically reinscribing the ash remains into the recorded medium, Daniaux–Pigot fuse together sonic-geological cause and effect, suggesting what we might be tempted to call an ashcousmatics.